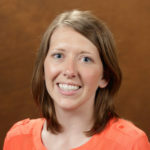 Miriam Northcutt Bohmert, Assistant Professor of Criminal Justice at Indiana University, is an expert in gender, social justice, sexual assault, restorative justice, prisons, and community supervision. Northcutt Bohmert has worked with the National Science Foundation and the National Institute of Justice on issues of prisoner reentry. Northcutt Bohmert is a member of the American Society of Criminology, the Academy of Criminal Justice Sciences, and the American Sociological Association. She has been published in academic journals including Criminal Justice & Behavior, Criminal Justice Policy Review, International Journal of Offender Therapy and Comparative Criminology, British Journal of Criminology, The Prison Journal, and Social Forces. Northcutt Bohmert received her Ph.D. in Criminal Justice from Michigan State University, M.A. in Sociology from Bowling Green State University, and B.A. in Sociology from Hope College.